Organic farming and growing organic food is becoming increasingly popular, especially with women. Young women in particular are taking up organic farming, often with no prior farming experience. In some states such as Washington, is it estimated that 75 percent of organic farms are owned and operated by women. One organization that has jumped in to help sustain these businesses is Simply Organic. It is owned by Frontier Natural Products Co-op, located in Iowa. 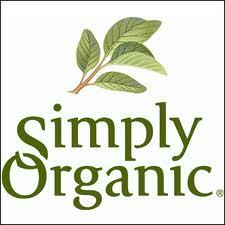 In 2001, they launched their line of Simply Organic natural spices, seasonings and baking flavors. One percent of Simply Organic sales is set aside to help support organic agriculture. Grants for organic farmers are available to support projects that improve methods for producing organic crops, educate other organic farmers on techniques for improving either products or efficiency, or increase education to the public on the health benefits of organic foods. The mission of Simply Organic grants is to "support environmental projects that promote organic agriculture and the restoration of natural habitats around the world." The Organic Farming Research Foundation reports that 22 percent of organic farmers are women. This number is greater than the 14 percent of the nation’s 2.2 million farms now operated by women, according to the U.S. Department of Agriculture. As women in particular become more involved in making a difference in the quality of food that goes on the table, grants to support the increase in organic farming promises to become an increasingly important element.